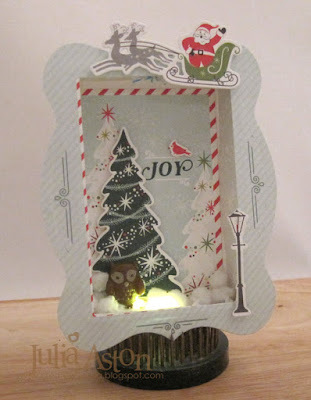 I made these fun shadow box ornaments using the Papertrey Ink All Through the House Market Kit designed by the talented Betsy Veldman, on the PTI DT. 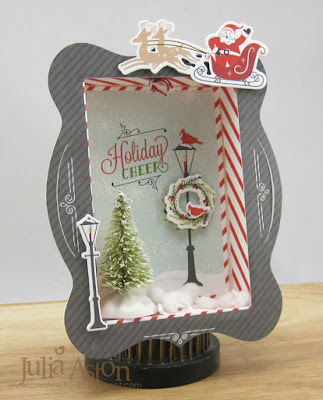 The kit includes, dies, specialty paper and stamps (the kits are sold out but I think you can get on a waiting list?) 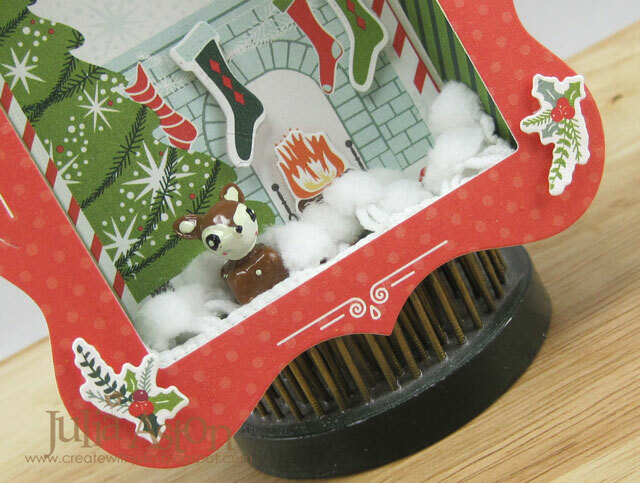 I also bought the mini LED lights (presently sold out and on backorder) to attach to the base so the scene could be lit (see below). 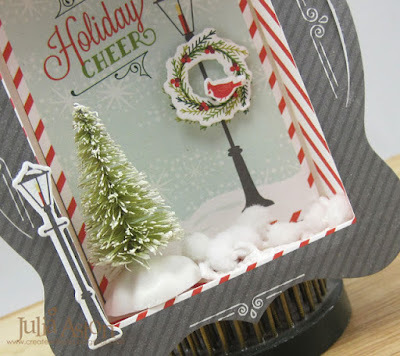 Betsy has a great video showing just how to add the lite and put these boxes together. See her blog post here. I made 4 of them - and sold them all at a Christmas sale at my church this past Sunday. 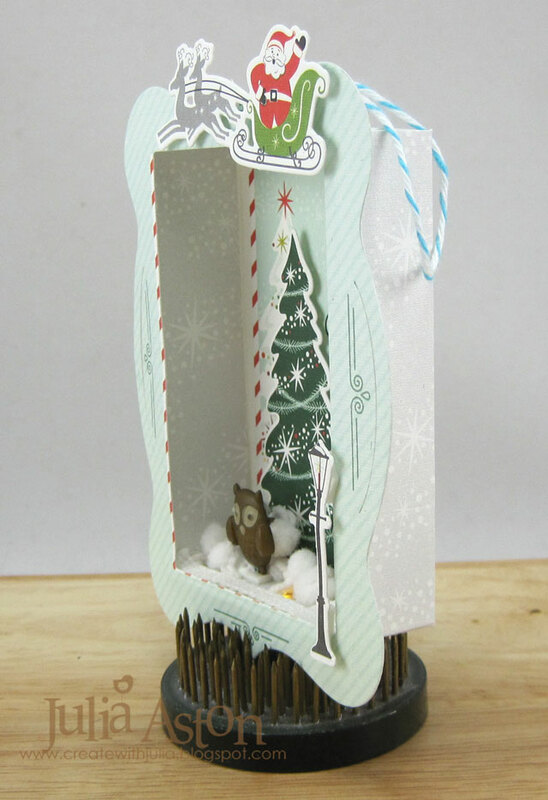 I added a little bottle brush tree to this one - and added pom pom ribbon for 'snow' on the bottom of all of them. You can see the glow from the LED light that is attached to the base - I cut a hole in the base for the light to show through. another view of them lit. I added a little deer to this one and layered the stockings and wreath. Close up with LED light on. 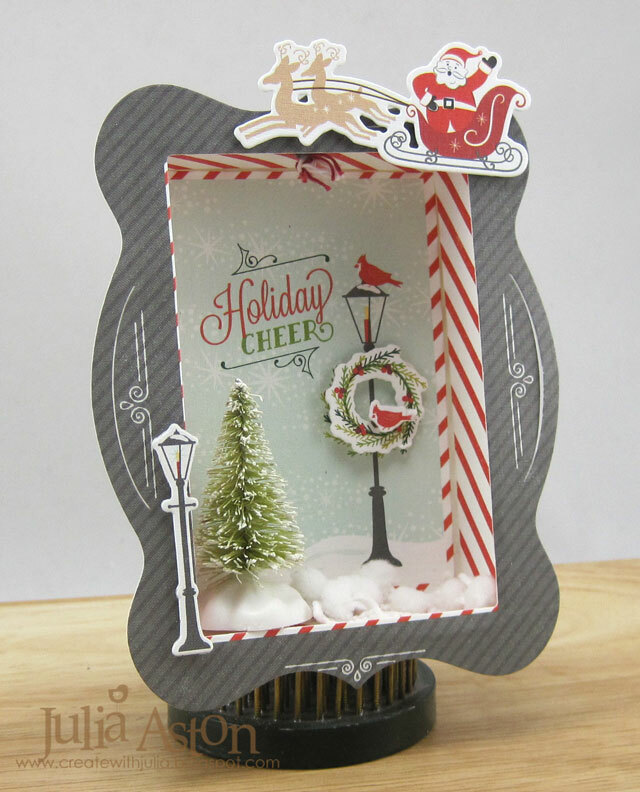 The die set cuts the matchbox, the frame, all the shapes. I added a little owl in front of the layered tree on this one. 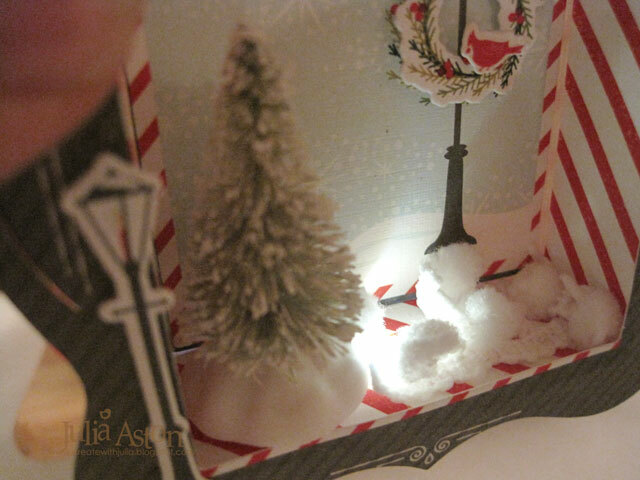 Here's a side view to show the depth of the box. I added a street lamp and Santa to the frame - popped up on foam dots. Shown with the LED lite on. Now I have to make one for myself! Wishing everyone celebrating a most Blessed Christmas! These are so charming, Julia - a smart and retro look for Christmas. 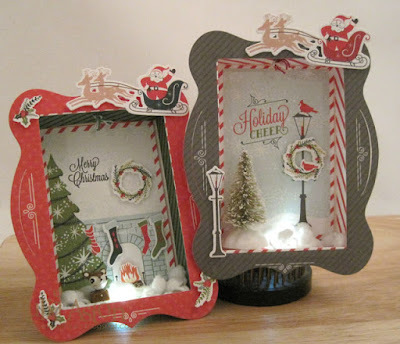 Very cool shadow boxes for the holidays! 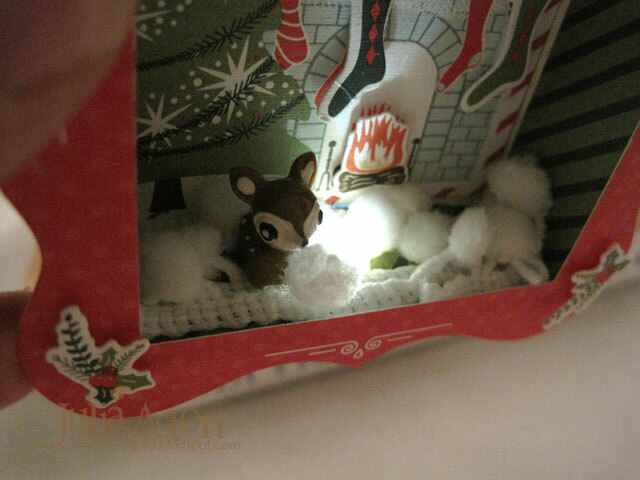 Happy Christmas Eve to you! Wow Julia! These are amazing! Love them all! Hope you and your family have a Merry Christmas! 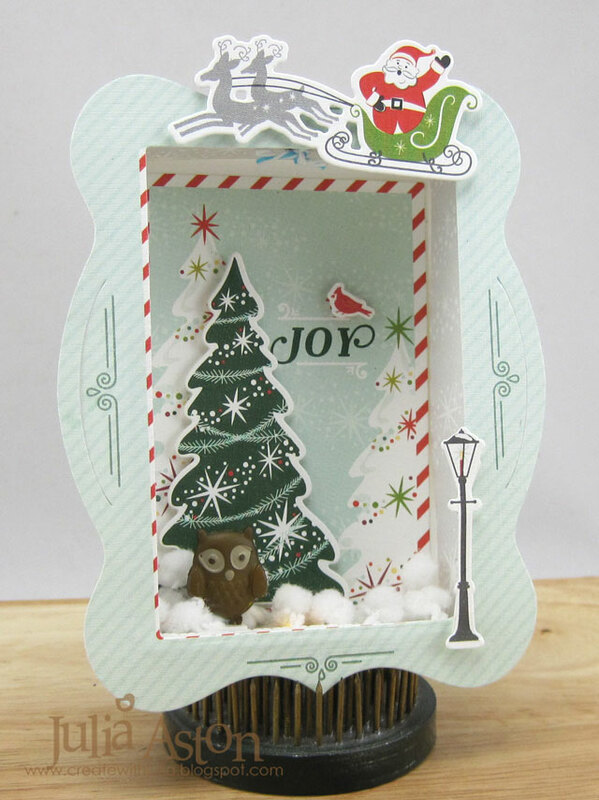 Wow these are just fabulous Julia-I can see why they all were purchased at your sale-I hope you and Kent have a wonderful Christmas celebration with the family-I loved the card you sent me-Merry Christmas girlfriend!! So beautiful...I love your wonderful creations!